You are in the end ranges of the thirties or in the upper ranges of forty. It is in these stages of career you will find new opportunities open up before you in your workplace. By this time, you are likely to have gathered a considerable work experience backing you. To grab the elusive top spot in your organization that your peers are also vying for, you need to have something extra in your resume. And if you are a graduate who had joined the organization after completing the regular four year degree course, and who does not have masters in your kitty, this may be the best time to go for an online MBA. How is MBA different from other normal degree or masters courses? MBA, whether offline or online, helps you to prepare you for the leadership role in your chosen domain. It can be a course in leadership itself or the financial domain. It can be done in the management of information systems or as diverse as public administration. The main point hinges on two words: management and the field that you are choosing. Why will I have to do an MBA if I am aiming for the top organization spot? If you aim for a simple promotion, any course will do. However, if you have set your eyes on the leading team on a project, you have to cultivate multi-faceted characteristics in yourself. Education in a particular discipline is not sufficient to make you a manager successfully commanding a project. You have to be capable of working with the team. As a manager of the project, you will be responsible for keeping your flock together. The workforce that you command will naturally consist of the workforce from geographically diverse backgrounds, different nationalities and different temperaments. When you are controlling a project, do not think that it will be a cakewalk. Project delays and insurmountable problems are frequent. When you face a challenge, which becomes nagging at times, you need friends who are from peer industries. You need to forge contacts and networks to get help from peers at times of roadblocks in your project. You are well settled in your workplace with your family and have no intentions to move out to another city for that upgrading or specializing course. 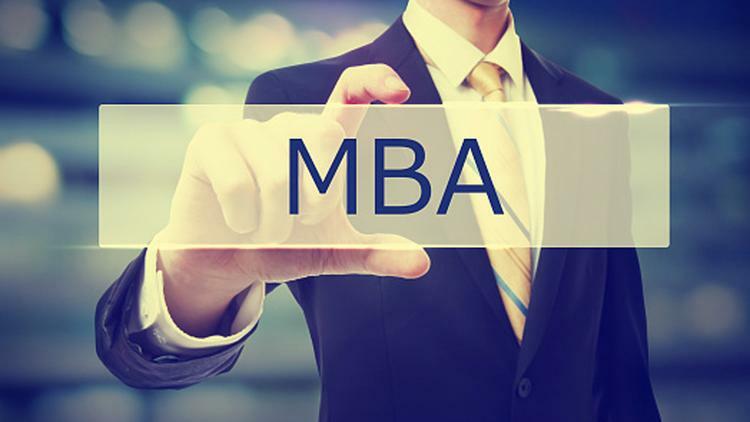 How doing an MBA can help us in the above-mentioned cases? Now let us take the above cases sequentially and see how MBA will be worth the investment every time. Please note that the cases above are applicable only when you are vying for a leadership position in the organization. To become the head of a team, you have to nurture qualities in yourself, which is different from a normal executive who in all probability, has been entrusted with a comparatively smaller job and an equally small team. MBA deals exclusively with the management or leadership in the chosen domain. Whether you do the MBA online, part time or full time, you have to complete projects. In the case of an online MBA, you are assigned live projects. To complete it online, you have to take the help of Skype, Google docs, Google hangouts, Join.me and Yammer etc. However, technology cannot help you complete the assignment. You have to consult, work in tandem and forge a friendship with your course mates (whether in online or offline mode) to complete the work given to you. Working mandatorily as a team to complete an assignment helps you cultivate collective leadership and camaraderie. Later, when commanding, you not only become a capable leader, but you also become able to enthuse and keep the flock together in stressful times. Keeping your team operating is one aspect, managing a workforce from diverse nationalities and equally various temperaments and cultures is a different ball game. For this, emotional quotient is equal quantities as the intelligence quotient. MBA courses are specialized courses, and accredited ones are available mostly in the developed nations only. Therefore, these approved courses are in high demand from professionals all over the globe. If you succeed in being enrolled, your mates will invariably be from a multi-ethnic background. Working with them as a team will set you up for the later stages in your career when you get a multi-geographical background team. During the MBA course, you forge international friendships. The composition and participants of the MBA are from multi geographical locations. Later, when you face hurdles in completing a project, these networks of friends from the same domain will come to your rescue and help the project get going. When you reach the forty-ies, and want to continue working while also completing the MBA course side-by-side, accredited online MBA program comes to your rescue. Accreditation from ACBSP or IACBE will let you take the course peacefully. This accreditation continuously monitors the quality of the course contents, faculty, their published research work and the end-results of the course. Their parameters are, and they review the curriculum every one to two years. Whenever course correction is required, the accreditation agencies ensure that the required realignment is done. Monitoring the whole course is a constant process. In the case of a regular on-campus course, AACSB is another very difficult to satisfy the accreditation agency. Only IVYLeague quality business schools are typically accredited from AACSB. ACBSP rarely accredits Canada online courses. Online course accreditation from AACSB is out of the question. However, many online courses in Canada are certified by the Degree Quality Assessment Board (DQAB) or locally from British Columbia Council. MBA is costly! Should I take it? MBA is prohibitively costly and unaffordable for many. In most cases, the company bears the cost for a candidate whom it selects for the leadership position. However, if you aim at the very top, MBA will provide you the specialized 360-degree knowledge and experience needed to handle it, and that your peers will not have. After all, remember, higher you go lonelier will you become and fiercer the competition gets. The management knowledge, team handling experience, and network of peers that you have cultivated during the MBA course will cushion and lengthen your stay at that top. Hence, doing an MBA with a clear target in mind is worth the effort and the money.